With the cold weather approaching, there is nothing like a tasty burger to warm you up, or at least fill your stomach with some delicious meaty goodness. 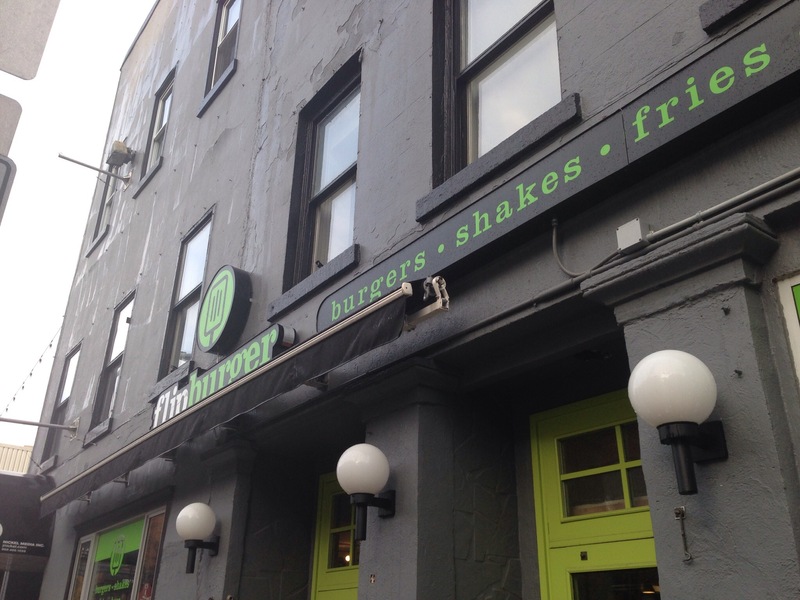 Looking for a quick bite to eat for lunch, I headed back to 1565 Argyle Street, where Flipburger is located. With multiple signature burgers to pick from, I decided it was time to cross the South Western off my list. 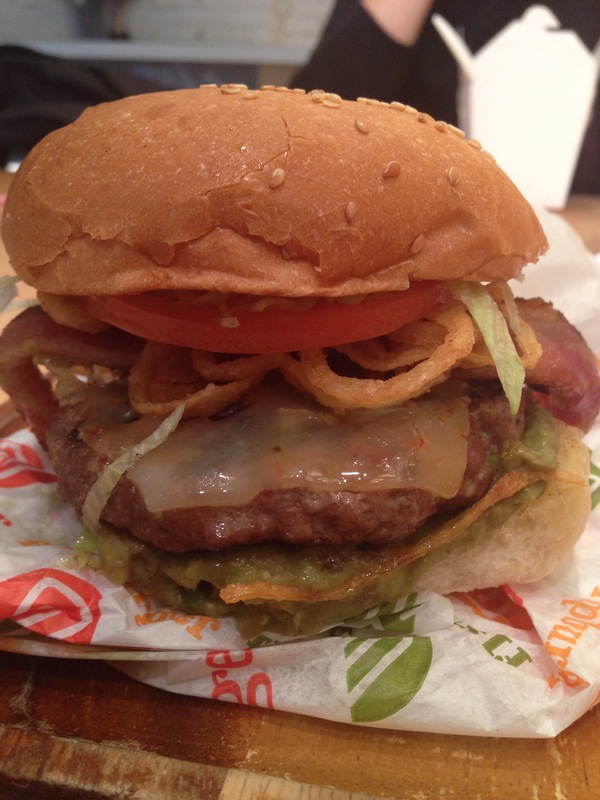 The last post I did about Flipburger, I was pretty critical about the appearance of the burger. This time, while the appearance of burger presentation still isn’t beautiful, I’ve come to realize that this is exactly how a place like this should serve their food. They don’t advertise themselves as a fine dining restaurant, but more so a place to grab a quick burger, while still maintaining a high level of quality. This burger has a few different strong points when it comes to taste. The first was the super tasty patty that really has a great flavour to it. My other favourite part was the guacamole/jalapeño combination. They really came together to provide a unique taste to the burger, and being someone who thoroughly enjoys jalapeños on almost everything, it was welcomed with open arms (or in this case, my mouth). If I had to make one critique about the burger, it would be that I would like to see some sort of sauce incorporated into the burger. While the guacamole was a great contribution, the avocados kind of made the burger a bit more dry that I would like it, but that can easily be fixed with a sauce, or even some salsa would make this burger even more wonderful. As with my last visit, interaction with the staff is very minimal here. That is not due to a fault on their part because that is the nature of these types of places. That being said, they do seem like friendly people, and they would most likely be willing to answer any questions that a customer may have. The price tag on this burger rings in at $8 ($10.52 if you get the combo). I am extremely happy with this price, and would hands down pay it again. This burger was a lot better than some other burgers I have had at other, more pricey, places, and it just goes to show you that good food doesn’t always have to cost you an arm and a leg. 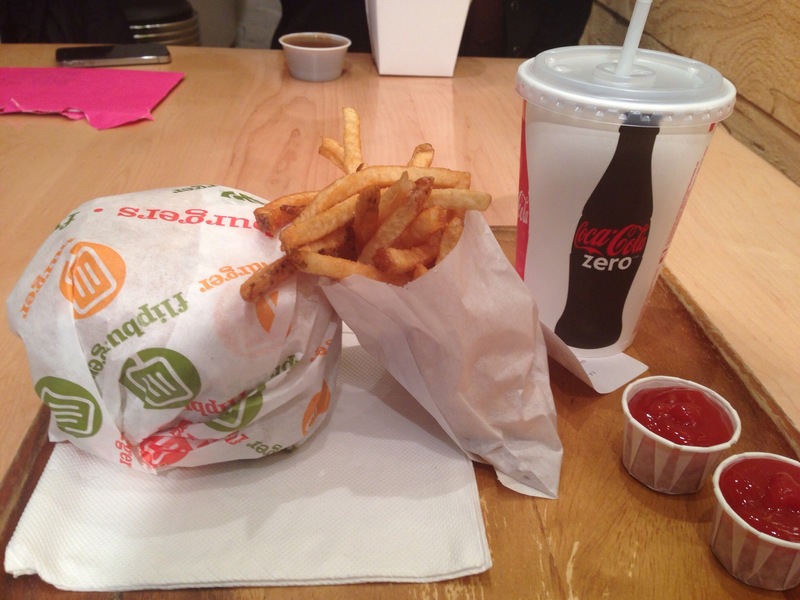 I’m still a big fan of Flipburger. They have a lot of creative burgers on their menu, and they really don’t skimp on the quality. I will definitely be coming back here again and again so I can keep trying all of their creations (I also really have my eye on The Flipburger Challenge, but I feel like there is some training I have to do before I’m ready for that).